Home » Cheryl's Shoebox Blog » Another big thank you to Aimee! Another big thank you to Aimee! Many hugs Aimee! Thank you for your donation to Cheryl’s Shoebox. 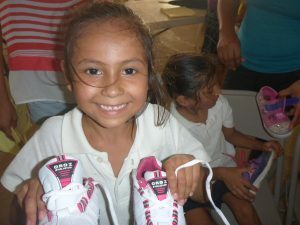 Aimee made her donation to Christmas at the dump, Quimixto Kids and Cheryl’s Shoebox in honor of Debbi Egan’s Birthday! Very Sweet and Happy Birthday Debbi!